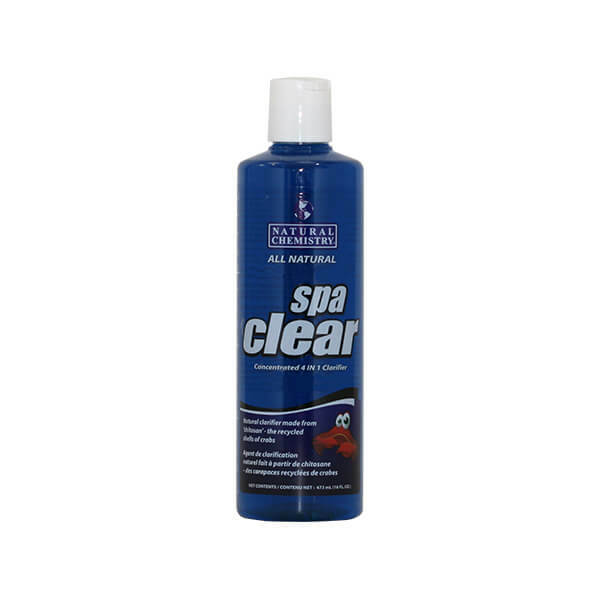 Spa Clear is made from the recycled shells of crabs and various sea life. Crabs and other crustaceans have a product in their shells called chitosan that attracts small particles of debris in water. Use to effectively and quickly clear problem water or to polish dull water by removing small suspended particles. Spa Clear is compatible with all sanitizing systems, and is environmentally safe.